My high school reunion was last Saturday and at first I was skeptical about attending. I haven’t kept in touch with anyone, so at earlier reunions it had been easy to drop in, say hello to a few friends, and leave early. This time, it helped that for months before the event, classmates posted photos on Facebook from school, summer camps, slumber parties, birthday parties and other events to whet the appetites of the wary. I loved hearing about my classmates’ lives and the many directions they’ve taken. Few conversations dwelled on people’s work. We shared memories of teachers, school principals, and being trounced in the annual Turkey Day football championship game. Grandchildren were a hot topic. 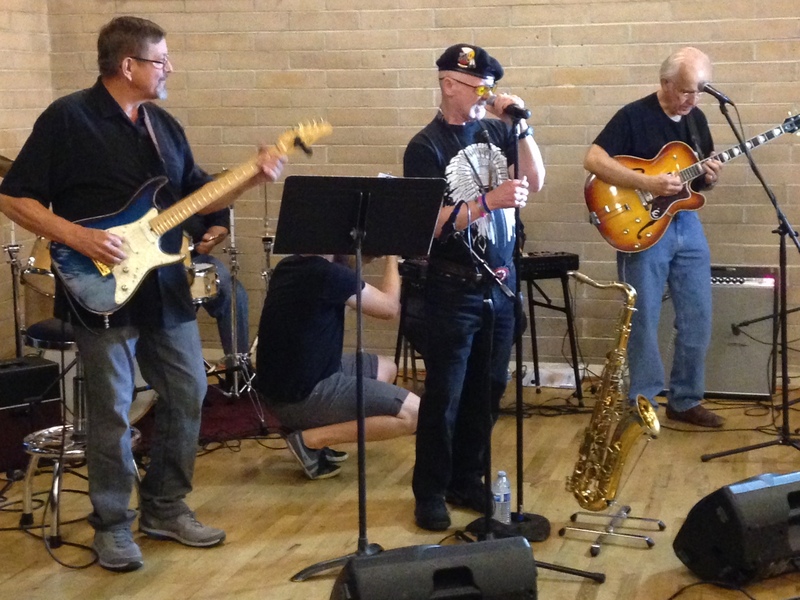 The rock and roll band from high school days, “The Gents,” is still playing and, as everyone at the reunion will testify, still playing well. One close friend, a Montessori teacher when I last saw her, now owns two restaurants. Even though they’re in another town, I realized I had eaten in one of them. She and another female friend learned to fly under their dads’ guidance and once owned their own airplanes, unheard of for women in the past — except, of course, for Amelia Earhart. Why was this different from the 10th and the 30th? Over the years, everyone had mellowed. No one boasted about their feats in life. We weren’t going to change and we’d accepted our places in the world. Even though a few intended to diet ahead of time, I don’t think anyone really did. At a certain age, what you’ve done and where you’ve been matters less. Who you are now — on the inside — counts for more. The reunion was also a time for true confessions. One guy told me he had a crush on me in sixth grade, called my house and played music over the phone. Now that’s a memory I wish I had retained. Memories are tricky. Another grade school classmate shared one about my mom that he had held on to for all these years. It was a nice one; regrettably, it was of someone else’s mom. I had a great time talking to grade school friends, kids who lived in the same neighborhood, many of whom I played with. I can still picture their houses. I missed seeing those who didn’t come, who’d dropped from everyone’s radar or dropped from the world in a more permanent way. The feedback we received suggests we should do it again, but sooner than ten years. It must be our age. This entry was posted in changes after retirement, memories, personal reflections and tagged connecting to old friends, high school reunions, mellowing with age. Bookmark the permalink. What a nice summary, Ann. You’re reflections match my own from my 50th two years ago — no one bothered to diet, no one bothered to “pretty up” the life story (yes, there were lots of divorces), no one was preening, everyone seems genuinely interested to hear each others’ stories. We had a few who seemed bound and determined to inject politics into the discussion (all of the right-wing persuasion); they were ignored and eventually moved on to the things we wanted to hear.. We had a “Memorial” slide show (a la the Oscars and Emmys) that was a time for silent blessing-counting; also time to think about what “giving your life for your country” means (we lost five in Viet Nam). Yes, it means giving up your LIFE. It felt like a “rounding out” for me. I’m not sure I want to go back to the next one. But I was glad I attended the 50th. Very nice. And I like Barbara’s comments, too. I think there’s a commonality to 50th reunions (and probably to all the others, too). A couple of years ago I went to the 50th reunion of a college I attended for two years and hadn’t kept up with since I left. It was great getting acquainted/reacquainted with former classmates and now I do keep up with some of them. High school is perhaps even more interesting because there’s a little more diversity in a high school class than college. I’ve attended several high school reunions and they’ve all been eye-opening and entertaining. 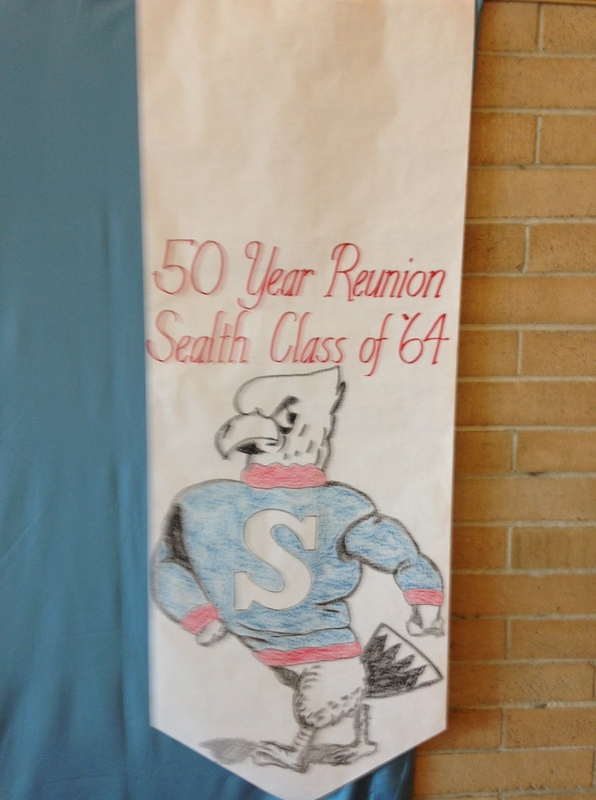 It’s interesting that on the same night as your 50th Class Reunion, I had mine in a small town in Eastern Washington.. There were many similarities to yours, and the comments from Barbara and Martha were right on point. My old boy Friend was there too and was one of the first to greet me as I had not seen him in almost 49 years. Note to anyone going to your next reunion, color your hair (ladies especially) and try to stay in shape. Those people I knew but anyone who had let their hair go gray and added 50 lbs were harder to recognize. So glad I found many of my classmates on Facebook and had kept up with several of them.